Raw Furniture is a family run business, where customer service and quality are our absolute priorities. We design, make and deliver unique, bespoke furniture for all areas of your home or business. We specialise in solid wood, chunky, plank, rustic furniture with superb character. Having our own workshop means we can create pieces to suit your own requirements and provide a premium service without the premium price tag. 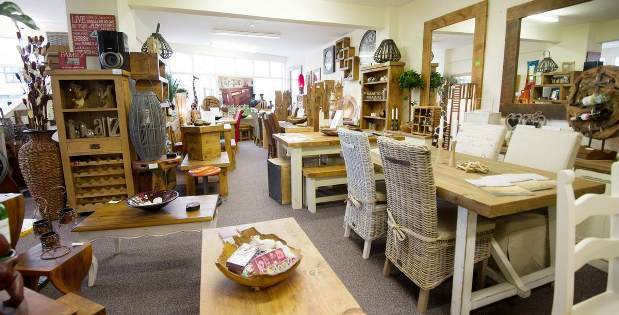 Our stunning showroom, with a fantastic range of solid wood furniture and accessories is based in Retford, Nottinghamshire but we deliver to customers nationwide from our workshop. You are very welcome to visit us and see the quality of our items as well as meet our friendly team, who will be on hand all the way through your order, from initial enquiry to care advice after your furniture is delivered. We are highly experienced in distance sales, where all our communication is via email or telephone. We pride ourselves on providing excellent customer service on an individual basis and this has become our core strength, making Raw Furniture what it is today. We are delighted to receive compliments with each delivery, and this is supported by our reviews on Facebook, eBay and most importantly, a strong trend in repeat business. Our aim is to provide furniture for any room in your house, freestanding or fitted and available in any size. Please call, email or visit and we will be happy to answer any questions you may have.